How Might the USDA Prospective Plantings Report Impact Markets? The upcoming USDA Prospective Plantings report can be a huge market mover and could potentially set the direction of the markets until we get into the summer months. We estimate farmers will plant 89.5 million acres of corn and 91.2 million acres of soybeans. The USDA outlook forum put those figures at 90 million each. Analysts polled by Reuters averaged 89.42 million acres of corn and 91.06 million acres of soybeans. Usually the numbers fall within the range of expectations, but occasionally we as a group miss pretty big. For example, in 2016 the average estimate for corn acreage was 90 million acres with a range of 89 to 91 million. The USDA came in at 93.6 million acres, which led to a pretty big drop in price that day. We recovered immediately and started a rally that lasted into the summer, which goes to show that no matter what happens on Thursday it won’t be the end of the world. Only twice in the last ten years have analysts missed the soybean estimate entirely. Those years were 2012 and 2013. My original worry this year, before all of the trade estimates were released, was that the market was going to come in too high for soybean acres. Some of the early estimates, in my opinion, were a little lofty. Sure, the economics are there for an increase in soybean plantings, as we expect, but at the end of the day you can’t ignore the fact that producers have had an opportunity to lock in $4.00 corn early in the year as well as what I like to refer to as heritage. In my home state of Illinois, and in a lot of other areas for that matter, guys would rather plant corn because it’s what they like to grow. Ultimately a good rally will net you more money in corn that it will beans, and it’s a heck of a lot more exciting to talk about corn yields than it is soybean yields. In the South you have soybeans competing with cotton. We’ve seen a huge rally in the price of cotton in recent months, and there are a lot of producers who want to keep that heritage alive. You can’t talk about the Prospective Plantings report without talking about the Quarterly Grain Stocks report, which will be released at the same time. They are of equal importance in terms of how prices will react. We see a friendly number on the stocks report for soybeans. The pace at which we’ve crushed soybeans over the past few months has been astronomical. All things considered I think we’ve seen stronger demand than the market was expecting, and that should be factored in on the report. Looking at corn you have to start with exports. The export pace has been solid, so perhaps the stocks come in lower than expected and counter what we feel could be a bearish prospective plantings report for corn. It’s never a great idea to do “panic marketing” ahead of a report, but you should also recognize the risks that are out there. If you are uncomfortable with how much (little) you have sold it could be wise to look at short-dated new crop options to manage your risk accordingly. FarmLogs Marketing is a great tool to use for testing your marketing ideas and understanding if an option strategy will have a beneficial impact on your risk management plan. I highly recommend you take a few minutes to plug in some strategies and learn what they’ll do to your breakeven and how much risk you could potentially eliminate. 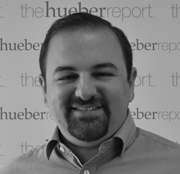 Jeff Kaprelian | The Hueber Report Jeff serves as the Trade Desk Manager for The Hueber Report, an agricultural risk management and brokerage firm. He works one on one with commodity producers, users, and individual speculators and focuses on grain and livestock markets. He has presented live and online seminars sponsored by CME Group, authored for Stocks and Commodities Magazine, and has been quoted in Reuters, The Wall Street Journal, and many others. Jeff graduated from Northern Illinois University where he majored in Economics. He lives with his wife and daughter in rural Elgin, IL. Share: "Jeff Kaprelian from the Hueber Report shares his thoughts on the Prospective Plantings Report »"